The freeware Kitty series just received its third chapter, following the adventures in A Game With a Kitty and A Game With a Kitty 2: Darkside Adventures. In this new chapter, simply entitled A Game With a Kitty 3, players control Kittey, a chubby cat who goes out for some treasure hunting. 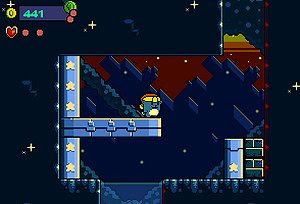 In the same tradition of previous outings, A Game With a Kitty 3 is a platformer that features some cute pixel-art graphics and plenty of enemies to eliminate or avoid. Also, keep an eye for secret areas along the way.